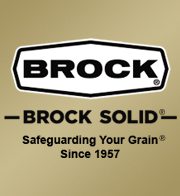 MILFORD, Indiana, U.S.A. — John Marshall has been named Vice President and General Manager of Brock Grain Systems, according to Doug Niemeyer, President and Chief Operating Officer for CTB, Inc. In his new role, Marshall will be responsible for leading and providing strategic direction for Brock Grain Systems through the oversight of sales, manufacturing and the company’s extensive worldwide network of independent dealers and distributors. Marshall comes to Brock with experience in product development, strategic business development, sales and customer service support from the agriculture, control systems and commercial vehicle industries. He has most recently held senior level positions in the areas of sales, marketing, operations, engineering and customer support. Marshall’s educational background includes a bachelor’s degree in mechanical engineering from the University of Illinois in Champaign, Illinois. He also holds a master’s degree in business administration from the University of Chicago, Chicago, Illinois. He currently resides in the Granger, Indiana, area with his wife and two children.